Sometimes in our busy lives, we need to reconnect with the beauty of the natural world that surrounds us. A crystalline pattern formed in stone. Dappled light filtering through leaves. The rich swirl of wood grain. 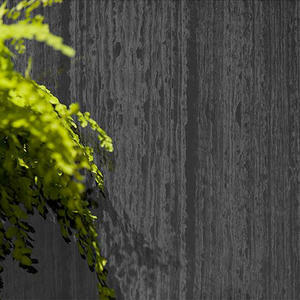 It is this natural beauty that’s inspired Forms+Surfaces’ latest innovation – ViviGraphix Elements architectural glass. Designed to subtly bring the outdoors in, Elements captures the rhythms of nature in a series of patterns sourced from wood, stone and other natural themes. Available in single-sided or double-sided configurations, Elements features a graphic interlayer laminated between either two transparent lites of glass (View) or a transparent lite of glass and a reflective glass backer (Reflect). This line was developed to provide our customers with versatile options that suit virtually any setting. Elements can be easily integrated into a number of our systems including LightPlane Panels; LEVELe Wall Systems, Columns and Elevator Interiors; Series 2000 Elevator Interiors; Silhouette Railing; and Glass and Stile & Rail Doors. It can also be specified in glass sheets any size up to 60” X 144” and used for architectural accents such as partitions, artwork or other custom applications. While Elements should resonate with a wide range of markets, it is ideal for healthcare, as hospitals and medical centers continue to focus on creating patient-centric, healing spaces. Restaurant, hotel, and corporate clients are also likely to welcome these innovative new designs. Chevron - Taking its cue from a traditional motif, Chevron's highly detailed Cream Onyx strips create geometric segments that converge and disperse at varying intervals. 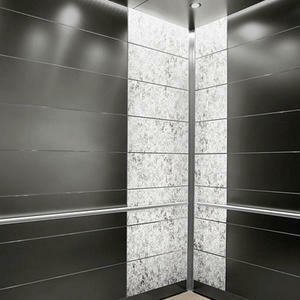 This allover pattern has the feeling of stone mosaic, and offers a natural look with a modern twist. 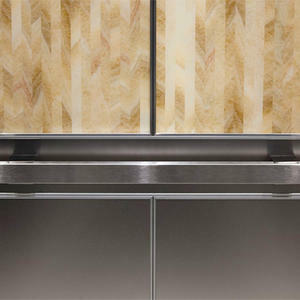 Chevron coordinates perfectly with our ViviStone Cream Onyx architectural glass. 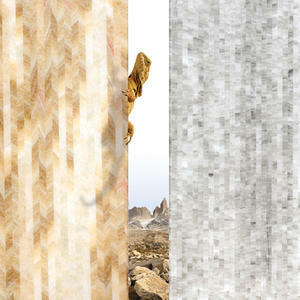 Strata - Subdued in its coloring and powerful in its details, Strata brings a neutral look to life. Strips of stone are shifted and arranged to form a refined vertical pattern. Strata's layers have a calming, luxurious look that brings textural depth to any space. Tali - Tali is a pattern of linear wooden strips which emphasize the beautiful contrasts in the wood grain, beyond what you would see in nature. Light and dark tones and diagonal details give this pattern depth and visual appeal, providing a more interesting alternative to classic wood veneer. 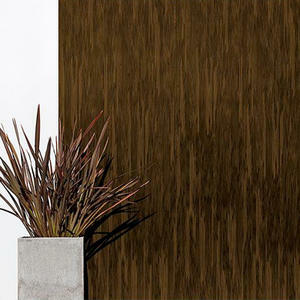 Black Fig - Black Fig is a sophisticated wood pattern that re-imagines blackened Quartered Fig. 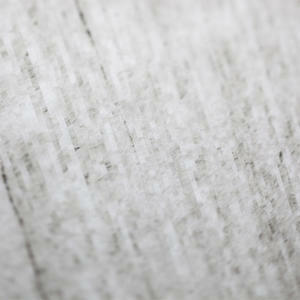 Its black and grey tones highlight the depth and grain of the wood, giving it a visceral clarity. This charred pattern is a distinctive addition to any setting. Acero - Taking its inspiration from light filtering through the leaves of a Japanese Maple, Acero’s intricate pattern combines the geometry of stripes with organic shapes for a dappled effect. 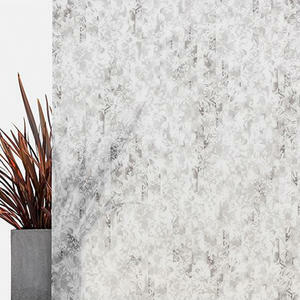 This modern take on a botanical pattern will enhance a variety of settings. Sage - Sage is a detailed linear pattern that brings together shades of green and grey that seem to sway in a gentle breeze. The subtle shifts of dark and light colors and intricate vertical and horizontal striping give this pattern a sense of movement, ideal for enlivening a space. 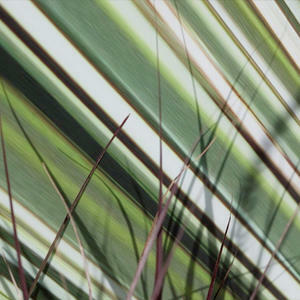 Yucca - A variegated stripe inspired by the plant that bears its name, Yucca incorporates shades of green, white, brown and black that softly transition into each other. 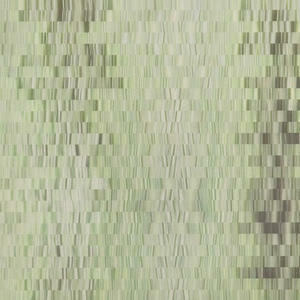 Yucca is a modern, bold stripe, perfect for adding visual interest to any space. Yucca Blue - Yucca Blue is a soothing color alternative to standard Yucca. This irregularly striped pattern features a sea of navy, aqua, steel blue and off white. 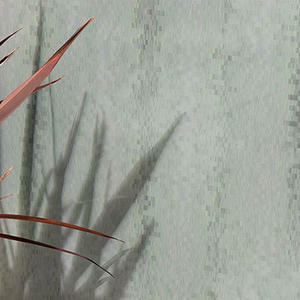 Yucca Blue is a cool, contemporary option, adding color and texture to any environment. Please take a closer look at this exciting new take on architectural glass and consider incorporating Elements into your next project. To learn more, visit the ViviGraphix Elements page on our website.